95 Clay Street Is Ready To Rent! So I responded to an ad off CL for 95 Clay Street, listing 3 bedrooms for $1750 (should’ve know something was up right there) without knowing about the naughty history. This was two weeks ago, and me and my roommates spent the last two weeks trying to give the owner a check and all our application forms, thinking what a great deal it we were about to get. Then Friday, we finally found out the truth: the building is illegal, the ownership is unknown, there is no management company and the owner is a psycho. Inside, the apartments are nice and new, but after the broker found out about the shady dealings, he said he should definitely withdraw our application. So be warned: nothing in Greenpoint will ever cost below $2000 for a three bed, unless it’s a tainted dumpster. Let this be a warning to anyone out there who is shopping for an apartment be it in Greenpoint or elsewhere. If the deal seems too good to be true, it probably is. While hardly fool-proof here are a few suggestions as to how to make a more informed decision when shopping for an apartment. After viewing the apartment, Google the address and read what comes up. ALWAYS check the records on HPD and the Department of Buildings. 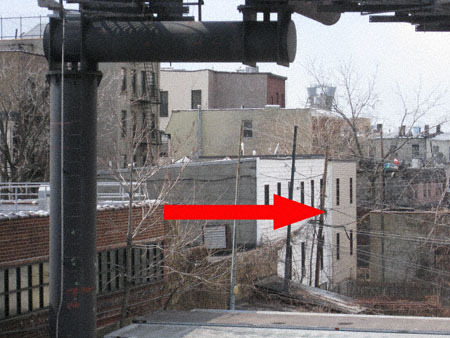 All buildings will have violations but if you see something like this, buyer beware! Ask around. Talk to a neighbor or current tenant of the property in question. They are an invaluable source of information not only about any possible maintenance issues the apartment might have, but also the neighborhood in general.